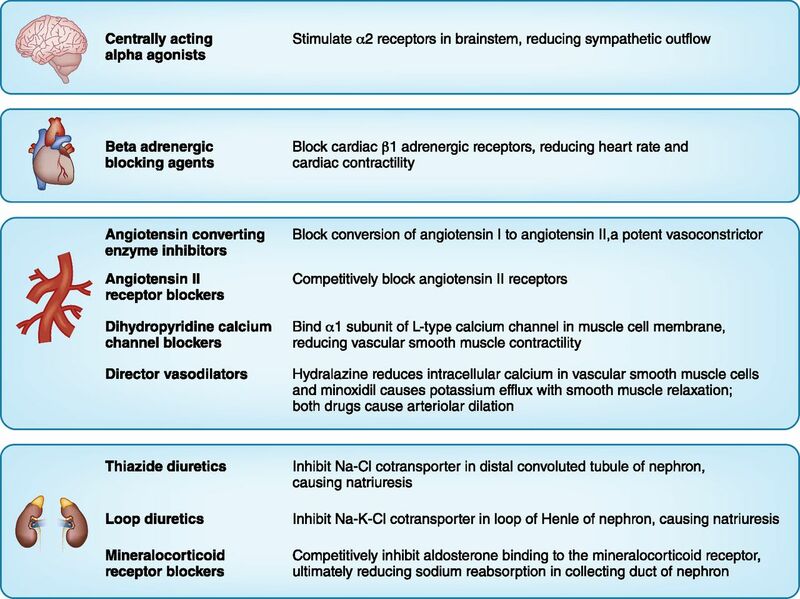 Major antihypertensive drug classes and their mechanisms. Cl, chlorine; K, potassium; Na, sodium. ACEi, angiotensin-converting enzyme inhibitor; ARB, angiotensin II receptor blocker; BABA, β-adrenergic blocking agent. ACEi, angiotensin-converting enzyme inhibitor; ARB, angiotensin II receptor blocker; BABA, β-adrenergic blocking agent; DHP-CCB, dihydropyridine calcium channel blocker; MRB, mineralocorticoid receptor blocker.